Celebrities photographed at the airport when they have returned from the small journey together. Not long ago, the media reported that Leonardo DiCaprio started having new affair. The journalists claimed that the actor chosen one was a 20-year-old blond model Camila Morrone. Neither the Oscar winner nor his supposed fiancee commented on their relationship. However, an insider from the inner circle of Leo mentioned that stars are just friends, and they do not too often see together. Nevertheless, these days celebrities photographed together again when they are on a private jet returning from a ski resort Aspen. 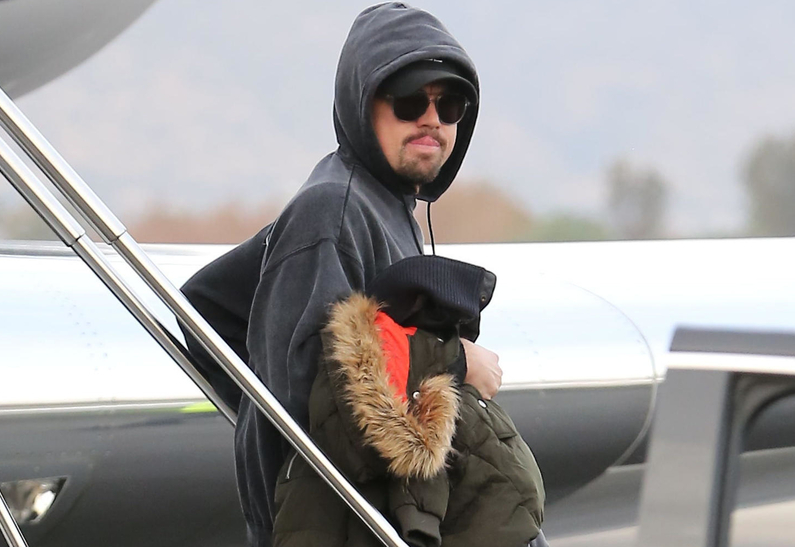 In addition to Camila and Leo on the plane was also Tobey Maguire and DiCaprio's few friends. By the way, in early December DiCaprio was seen in the company of a mysterious blonde. Fans suspected that the mysterious stranger was Elizabeth Turner, with whom the actor had rumored affair.